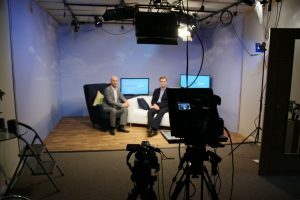 With the improvement of technology, most scenes that you see on TV were filming in the videography studio, even the once that you would swear were filed outside. It is just easier more convenient it saves money on traveling and it is the videographer is not expected by the changes of the weather. The important thing, however, is to choose the right studio for hire, this, of course, depends on numerous of facts in this article we will seize on filming a short music video. If you are based in London, you definitely want to choose a good location of the studio as it would be very inconvenient for people to travel a great distance for once day of the shoot. There are numerous photographic and videography studios in central London that is available for one week or even just for a half of day. This will give flexibility. Me personally I hire the studio for a twice as much time as I think I will need. That gives me enough buffer in case something goes wrong, or if the things just slow down for some reason, and trust me, there’s always something that goes wrong. It is crucial to what size of the studio you need. for a small production 900 sq ft, it would be efficient for a studio in central London of this size I would recommend visiting https://www.69dropsstudio.co.uk/ and hiring a session. However, if you need something bigger in London, the best option would be to the filing in a professional filming studio in London. The prices are much higher than the small 900 sq ft studio, however, there are green screens that you can use for your filming, so it really depends on what’s the plan for the project.